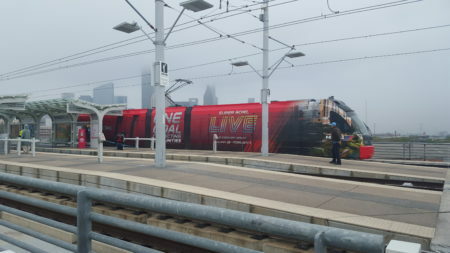 Train promotes activities in downtown Houston in the week before the big game. 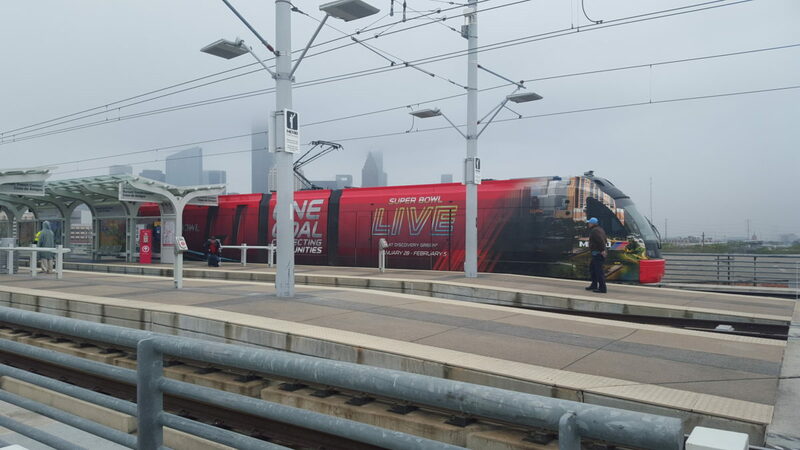 Metro expects to transport thousands of fans during Super Bowl week in Houston. 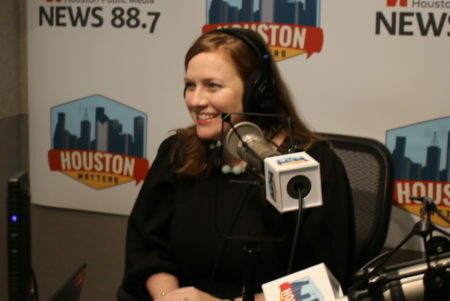 The agency will have free downtown shuttles for events at Discovery Green and the George R. Brown Convention Center. On game day, Metro’s Red Line will carry visitors from downtown to NRG Stadium. 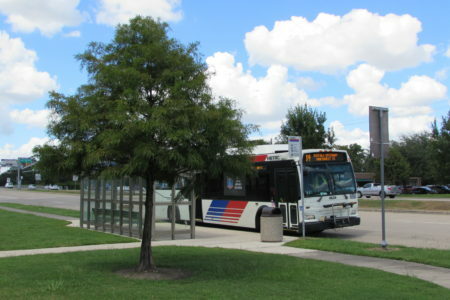 There will also be shuttle buses from the Galleria area. 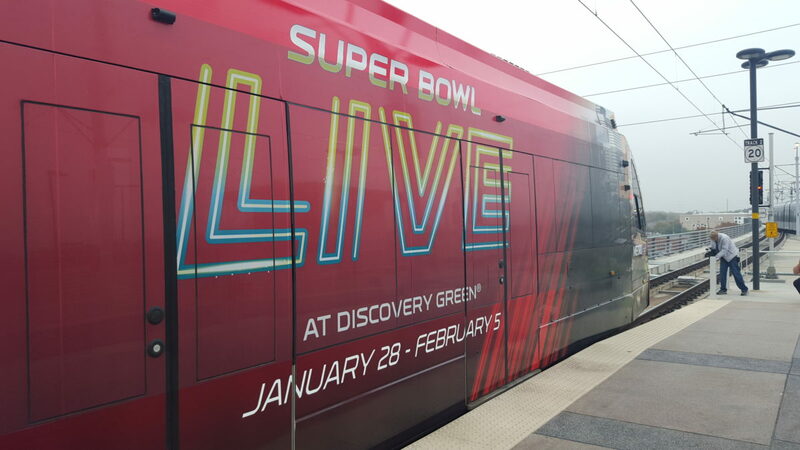 Metro has also rolled out eight specially-wrapped trains that promote Super Bowl Live at Discovery Green January 28-February 5. 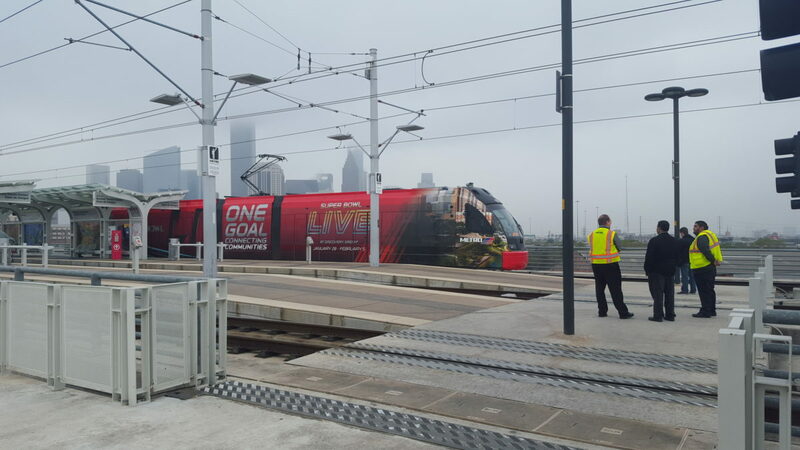 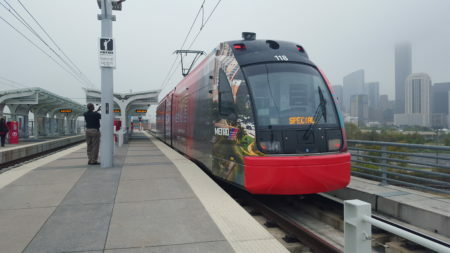 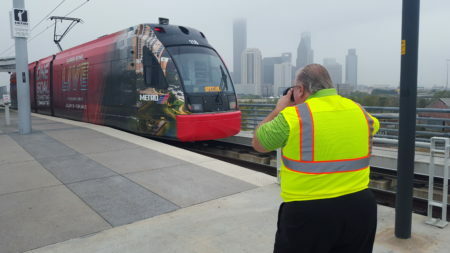 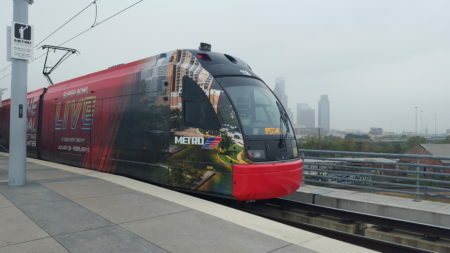 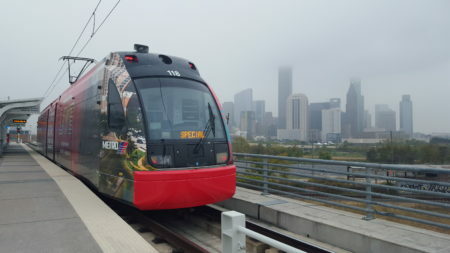 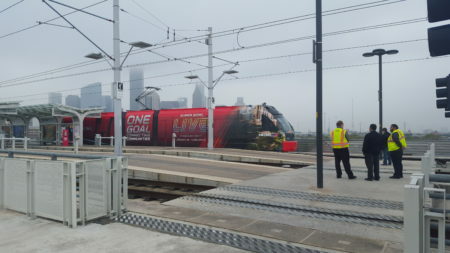 The trains were unveiled against the Houston skyline at Metro’s Burnett Transit Center. 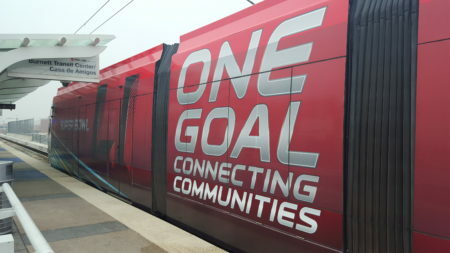 Metro’s budget for the current fiscal year includes $1.4 million for Super Bowl-related expenses.